Mexico (MNN) — Southern Mexico can’t seem to catch a break. On Monday [19 February], a 5.9-magnitude earthquake shook southern Mexico and quake sirens sent people scrambling into the open streets at 12:57 am CST. It was the five-month anniversary of the September 19 earthquake that killed over 200 people in Oaxaca state. This latest tremor appeared to be an aftershock of a magnitude 7.2 earthquake on Friday that struck the same region. Friday’s tremor caused significant damage to at least 50 homes in Santiago Jamiltepec, according to the Interior Department. And in the wake of Monday’s aftershock, schools were canceled across Oaxaca state. Thankfully, no lives were lost in either quakes. But a crashed helicopter that was surveying earthquake damage killed 13 people and injured 15 others. 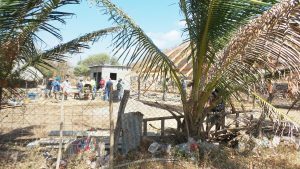 Jim Loker with Audio Scripture Ministries says the back-to-back earthquakes from September and the damage they caused still have people reeling in Oaxaca state and the surrounding areas. So when tremors like these hit, they stir up the same trauma and fears. “Back in September, the southern state of Oaxaca, Mexico was hit by two really strong earthquakes and a lot of homes were destroyed. About 20,000 different homes were destroyed, schools, hospitals, businesses. In the town of Juchitan and the surrounding area it sort of looks like a war zone with piles of rubble and empty lots where there used to be houses. 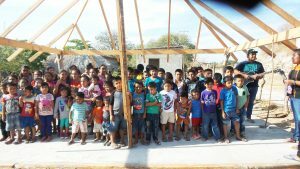 ASM is working with a pastor in southern Mexico who noticed a lot of local kids weren’t in school since their school building was destroyed in September. This pastor has done audio Bible distributions with ASM in the past. But when he saw the educational need in his community, he decided to do something about it. While holding classes outdoors is working for now, it’s not sustainable. Every time it rains or gets too hot, they have to suspend classes. 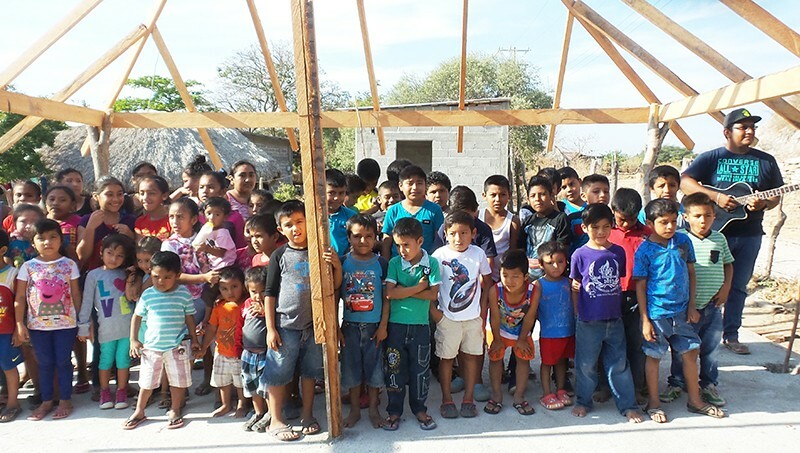 With the help of a few church teams from the United States, ASM is working to build a small schoolhouse for these kids in southern Mexico to attend classes during the day and be out of the elements. A team from Grace Church in Middleburg Heights, Ohio recently laid the concrete flooring for the schoolhouse. They also distributed audio Bibles and shared the Gospel with listening groups of kids and their parents. This week, Loker says a team from Pittsburgh, Pennsylvania is also visiting to work on the schoolhouse and minister to families who were affected by the September earthquakes. Throughout these humanitarian projects, ASM frequently holds audio Bible distributions to provide God’s Word in the heart language of the people they work with. 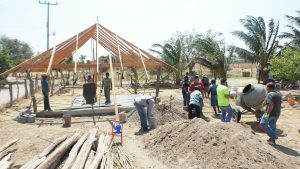 A few years ago they recorded the New Testament in Zapotec, which is the heart language of the community where they’re helping build a schoolhouse. They also have the New Testament available for people of Chayuco, the people group at the epicenter of Friday’s earthquake. ASM would not be able to continue this eternally impactful ministry without the donations they’ve received for audio Bibles and earthquake relief. If you’d like to support Latin America ministries with ASM, click here! 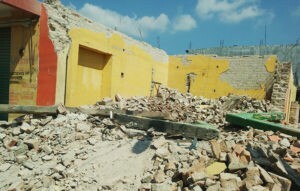 And, as always, please be faithful in prayer for ASM and the people of Mexico.